If you are looking for more than a pleasant relaxing day amidst rich nature and animals, 1 Day Eco Adventure + Flight of the gibbon is what you are looking for. Three hours of pure adrenaline rush, exhilarating activities and breathtaking ways to embrace nature are the best features of this package, to name a few. 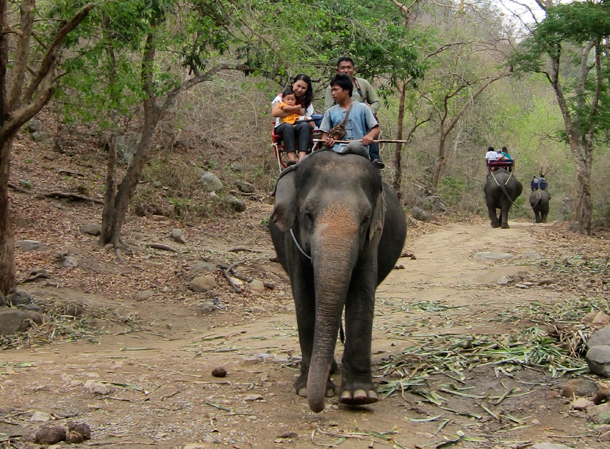 In this package you not only enjoy the usual fun and relaxing activities of eco adventure tours like breakfast with Suriya, elephant ride, stork parade and sightseeing but also get an opportunity to explore your sporty side. 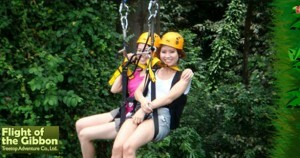 The Flight of the gibbon at Khao Kheow Open Zoo is the longest zip line adventure in the world. It is an aerial adventure tour packed with some heart pumping action. It’s a unique way to soak in the beauty and magic of the jungle. A bird’s eye view of this mesmerizing ancient treasure will make you cherish your Thailand excursion forever. Slide along the lush greenery and blue skies with the help of 3km long zip-lines, sky bridges, exhilarating abseils and jungle trekking. 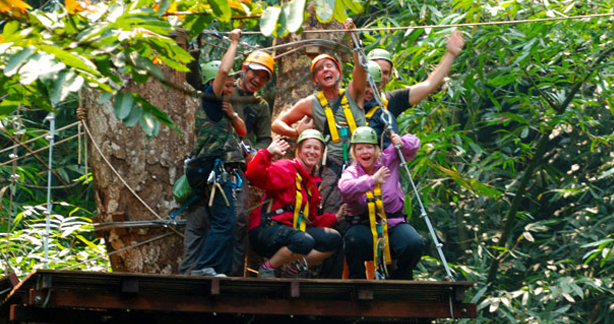 Flight of The Gibbon is not just for adrenaline junkies, it is a wonderful mixture of adventure tour and educational tour. As you slide through the forest our expert Sky Rangers will not only assure your safety but also educate you with their knowledge of the various inhabitants of the rainforest and help you spot them along the way. So just flip off the fear, flap your wings and get ready for your ultimate flight; because without the ‘Flight of Gibbon’-adventure tour, your Thailand excursion cannot be called as complete.